Is your business prepared for a disaster? Join ESET and industry expert, StorageCraft, for a research overview presentation of modern business disasters. We'll look at the difference between back up and recovery and discuss best practice for building a recovery plan. 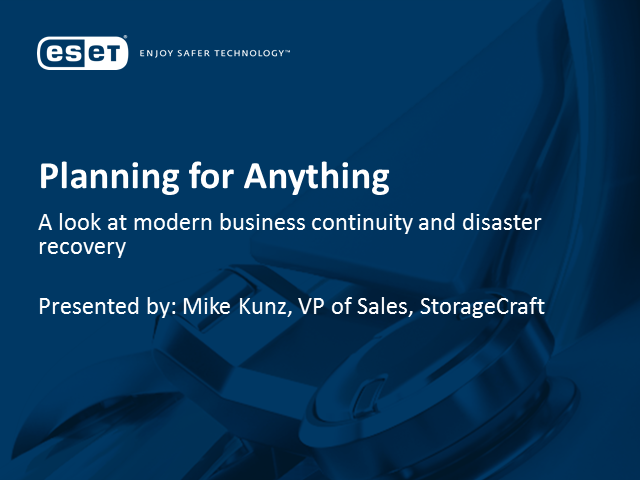 Mike Kunz, VP of Sales with StorageCraft, will also look at specific solutions to quickly get your business up and running when disaster strikes.